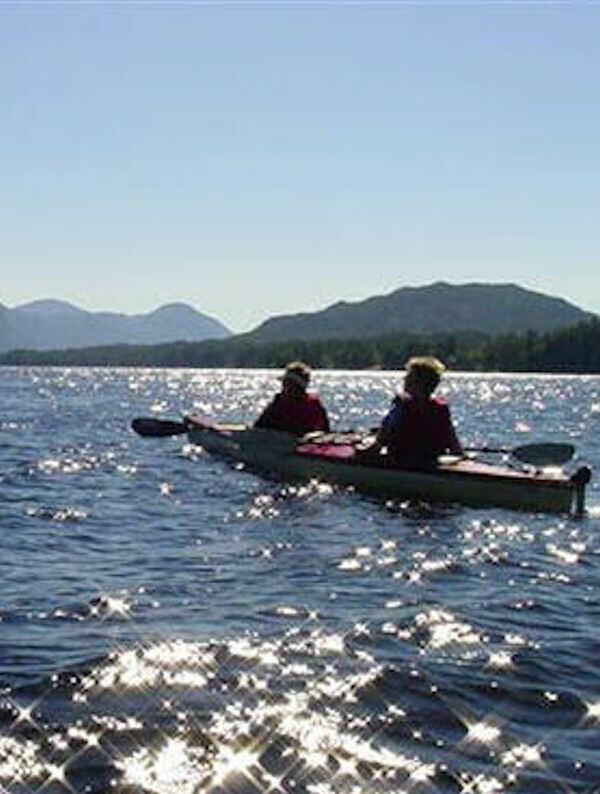 The tour is a wilderness kayak and boating adventure with only 6 guests in each group. Our tours are not sold on board any cruise ships which allows independently spirited travelers to escape the crowds in town and enjoy a genuine Alaskan experience. Exploring the wilderness of Southeast Alaska by small boat and kayak gives a unique perspective on the temperate rainforest ecosystem and the fascinating 20 foot intertidal zone. We never know when the whales, eagles or bears will appear, but spending the whole tour time on the water both traveling by boat to Orcas Cove and kayaking gives us the best chance of seeing Alaska’s wildlife up close. Sea kayaking in Alaska is a dream for first time and expert sea kayakers alike. Our small groups, friendly expert guides and top quality equipment ensure that the tour is enjoyed by paddlers of all levels.